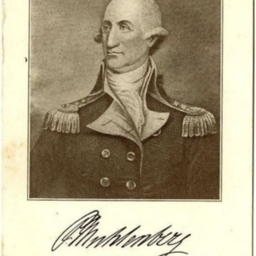 Postcard with a depiction of Peter Muhlenberg while giving his sermon to recruit continental soldiers in Woodstock Virginia. Includes a description of the event. 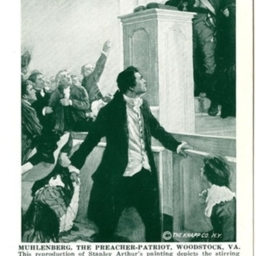 Postcard published to celebrate the sesquicentennial of Peter Muhlenberg's sermon in Woodstock Vigrinia.